New Era Millennium Falcon Baseball cap. 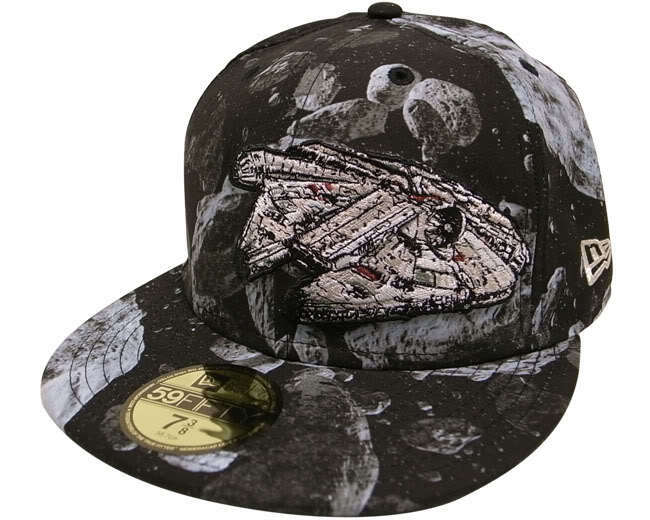 I saw this Millennium Falcon themed baseball cap on ebay over the weekend and i do think that it’s very nice. It shows the Falcon during the Asteroid chase in the Empire Strikes Back. It looks like the Falcon’s embroidered on or there’s some sort of patch on it. At $99 plus $15 postage it’s a bit too rich for my blood, but now i know it exists i can keep an eye out for it at a better price.